Vitamin B12 is essential for the proper function of nerves, central nervous system, and the formation of blood elements mainly red blood cells. What happened if vitamin B12 is low? You may suffer from tingling and numbness due to nerve damage, also anaemia that can manifest as weakness, and pallor. Who can be deficient in vitamin B12? If you are vegan, poorly digesting or absorbing foods such as having chronic gastritis, Crohn’s disease or ulcerative gastritis or if you have an autoimmune disorder such as Graves disease or lupus you can be deficient in vitamin B12. How to diagnose vitamin B12 deficiency? If you have symptoms that suggest vitamin B12 deficiency such as numbness or tingling or anaemia you must do a blood test to evaluate how much vitamin B12 in your blood to properly diagnose it. 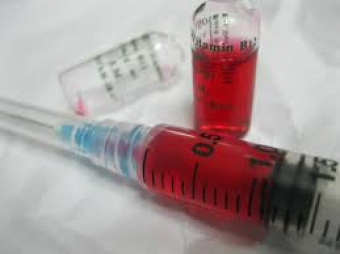 To supplement you with the proper dose of vitamin B12 either orally or by intramuscular injection. Have a question? Or need to receive B12 injection?